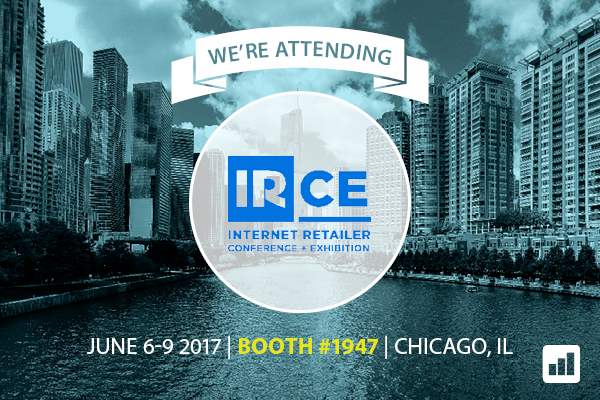 We are delighted to announce that for the third year running, Optilead will be exhibiting at the Internet Retailer Conference & Exhibition (IRCE), which takes place at McCormick Place West, Chicago from June 6 – 9 2017. We will be on booth #1947, showcasing our unique Multi-Channel Cart Recovery solution, which provides retailers with the ability to instantly reconnect with visitors who abandon an online purchase. With cart abandonment rates continuing to sit at around 76%, it is vital that businesses have a strategy in place to engage with people who leave their site without making a purchase. We’ll be chatting with people from across the industry about how making that connection through multiple channels, with friendly phone calls at the centre of your strategy, is the most effective way to handle abandonment. There are plenty more reasons to visit IRCE too, with nearly 600 vendors and a huge 250,000 square foot exhibit hall which makes it the largest ecommerce trade show in the industry. The exciting Conference side of the show, which features over 200 expert speakers who are leading ecommerce trends and driving new strategies, is yet another reason not to miss it. If you don’t have your ticket yet, you can register here – and don’t forget to come and visit us on booth #1947! We look forward to speaking to you. Cart Abandonment: 100 US retail sites tested – how did they fair?